The Buttercup Cottage has two of my favorite offerings at the International Flower and Garden Festival. The field greens with Plant City strawberries, toasted almonds and Farmstead Stilton are delicious. Then pair that up with the pork and apple sausage roll, and you have perfect sampling plate. 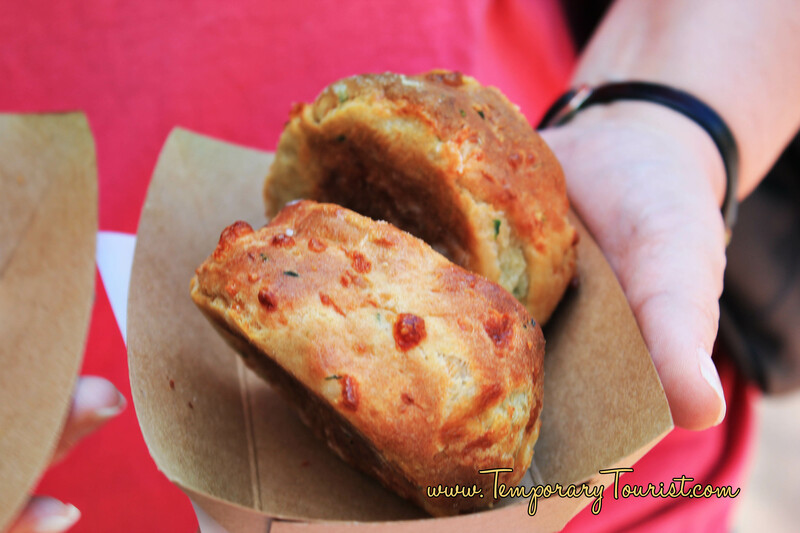 I was fortunate enough to taste both at the Epcot Press Event, and since then have even had the pork and apple sausage roll one more time. Yes they are that good!